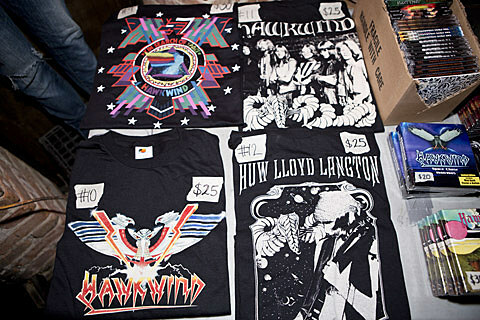 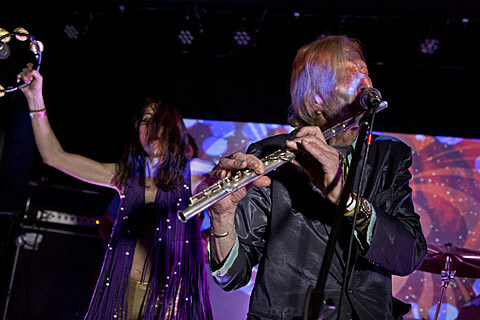 Nik Turner’s Hawkwind did not disappoint as the band ripped through classic Hawkwind tunes from Turner’s days with the band from its inception in 1969 to 1976 in a 90-minute set. 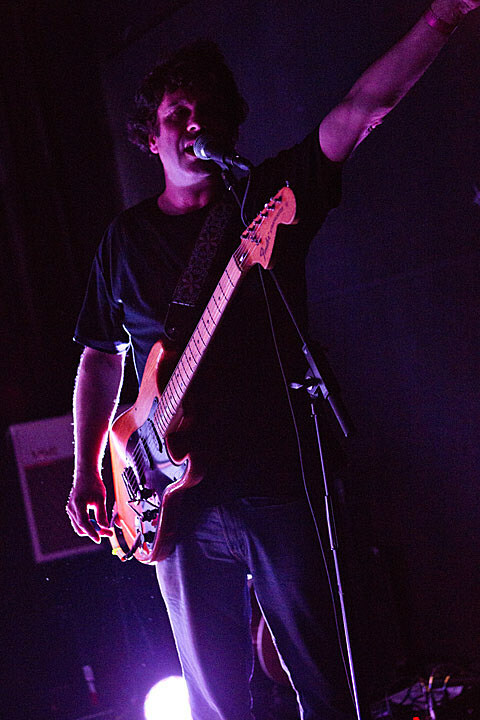 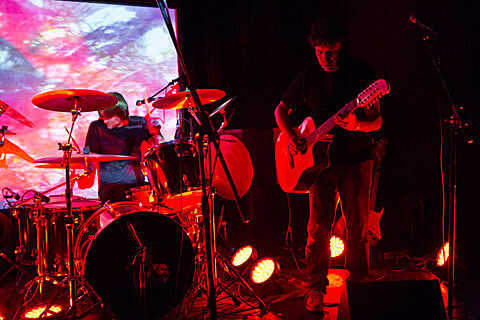 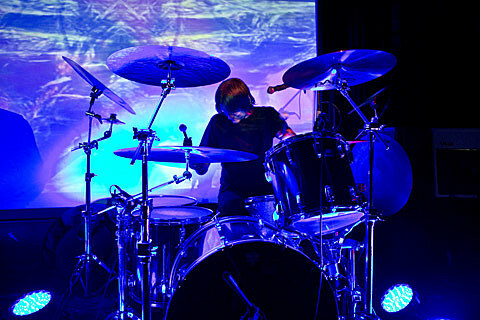 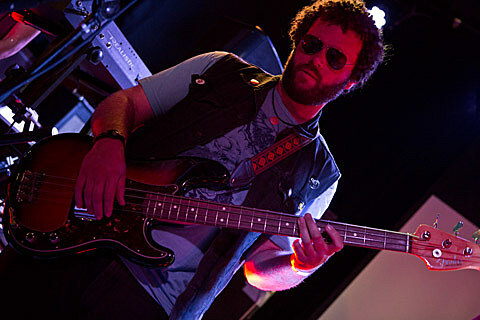 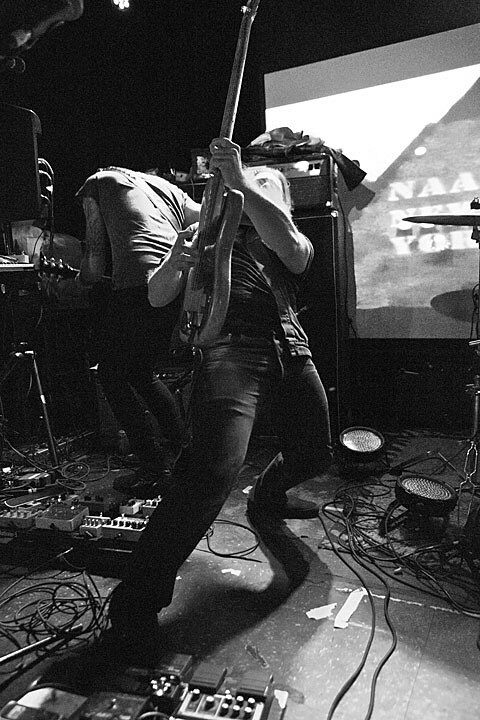 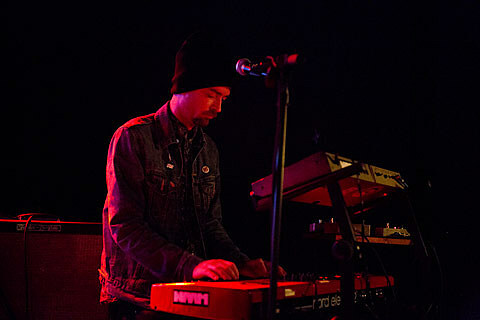 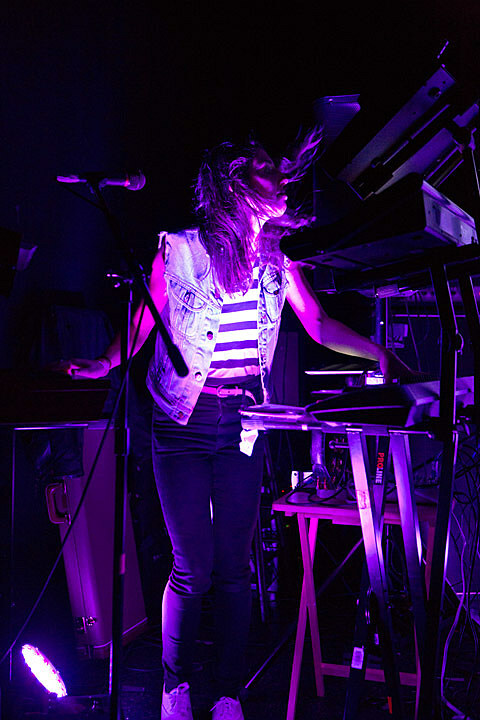 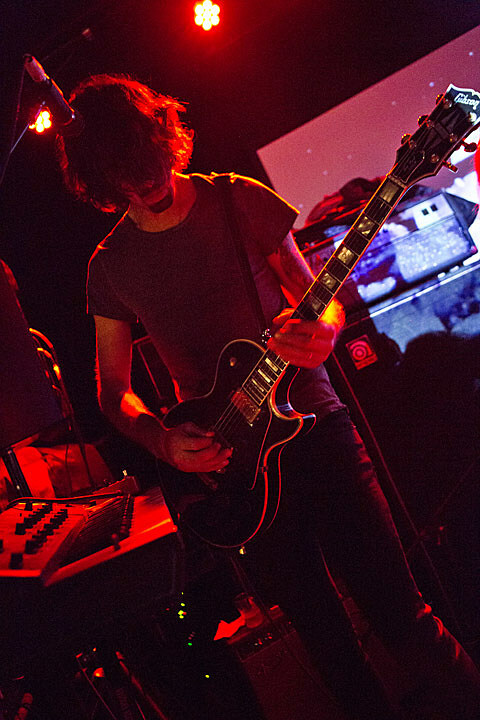 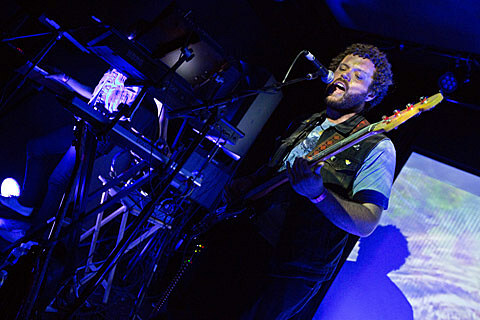 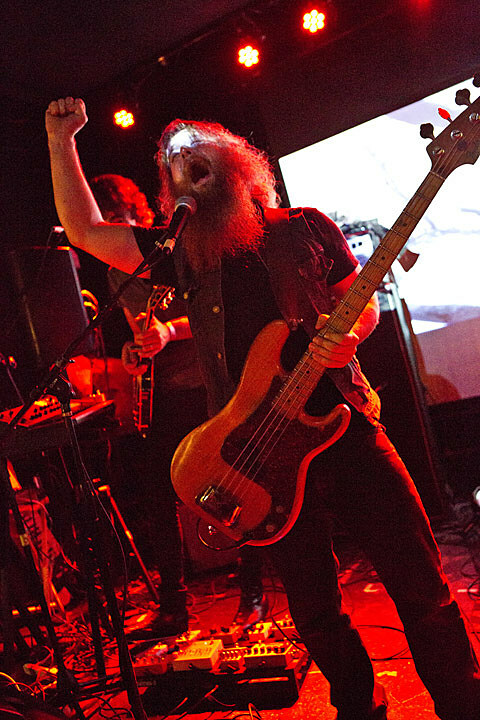 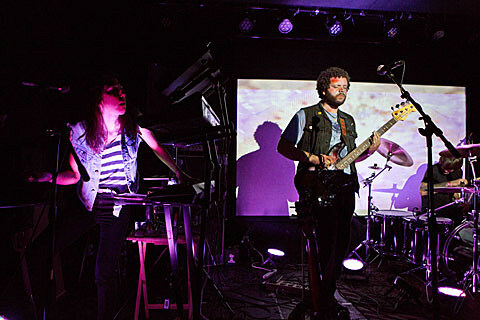 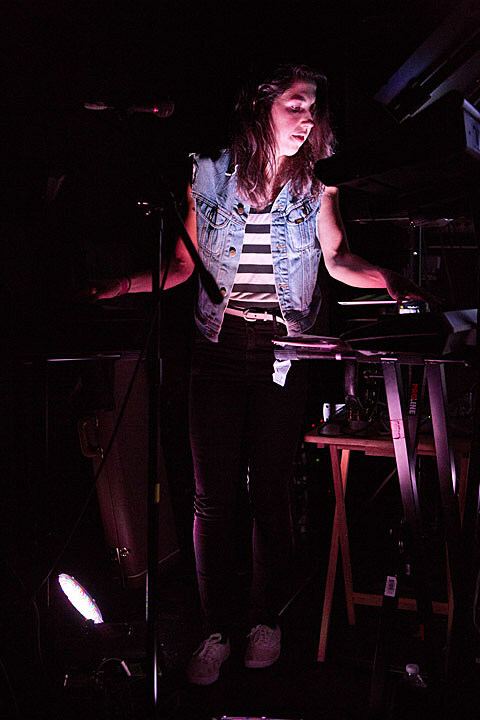 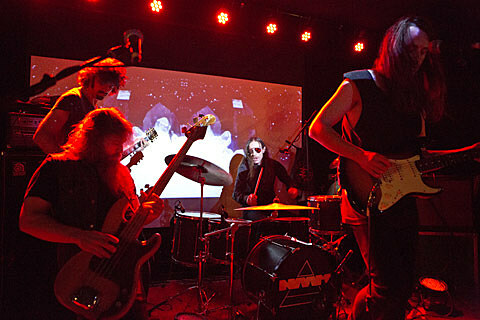 This band Turner has assembled has some serious chops and delivered, tearing through crowd-pleasers like “Brainstorm,” “Silver Machine,” “D-Rider” and “Children of the Sun” with pulsing rhythm and ethereal space noise. 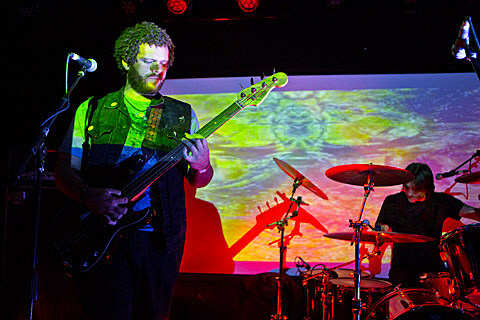 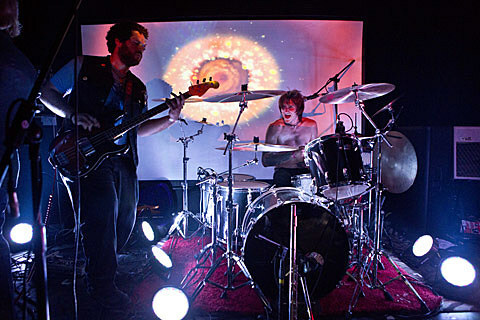 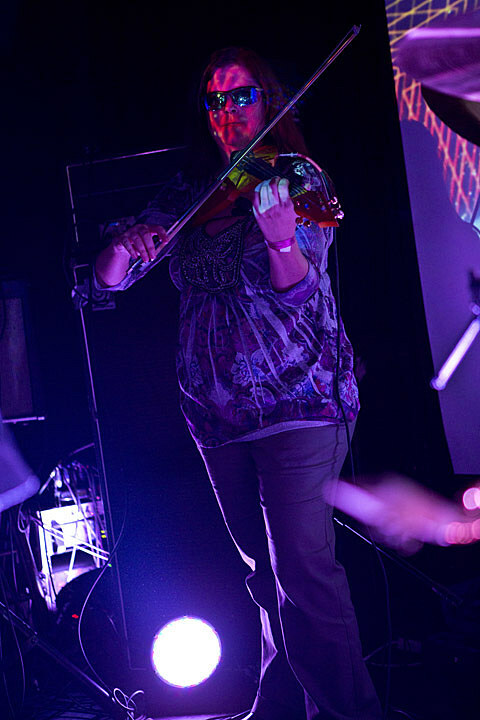 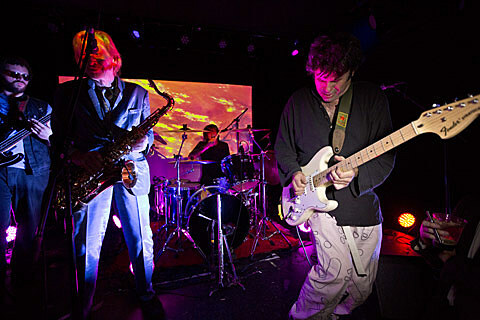 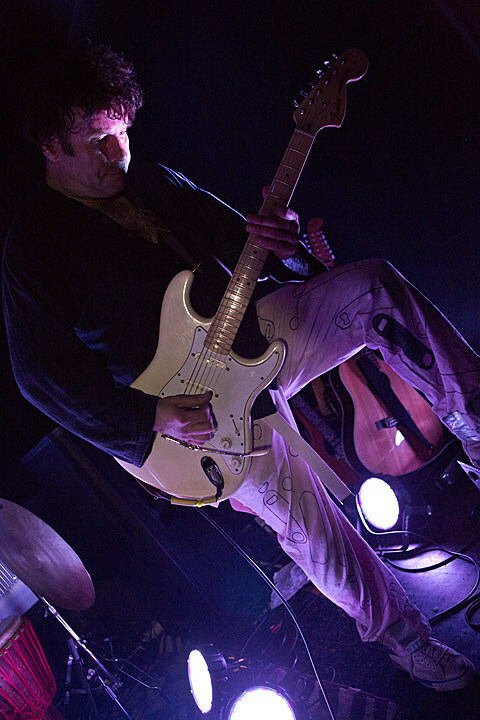 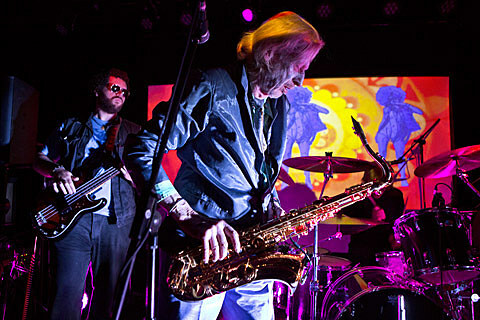 Add the projected images of go-go dancers, spaceships, the cosmos and sci-fi beasts and you’ve got a hell of a far out, jazzy, psychedelic prog rock show. 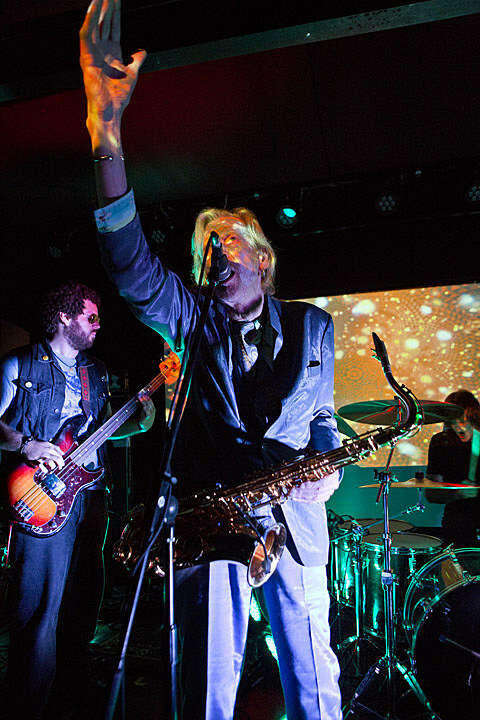 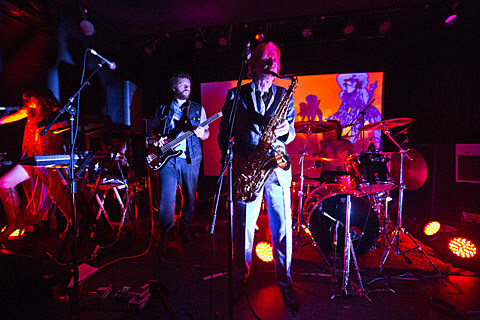 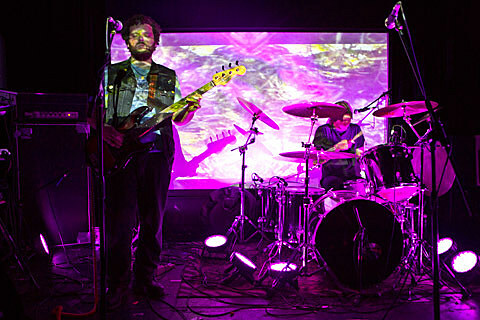 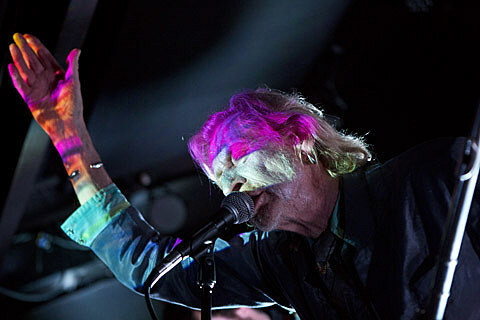 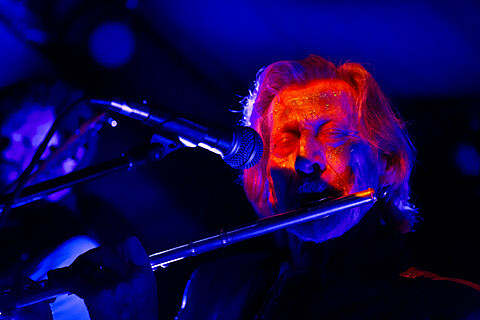 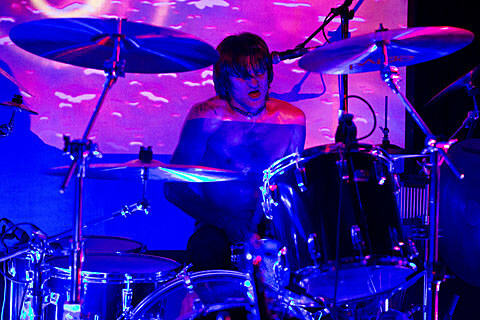 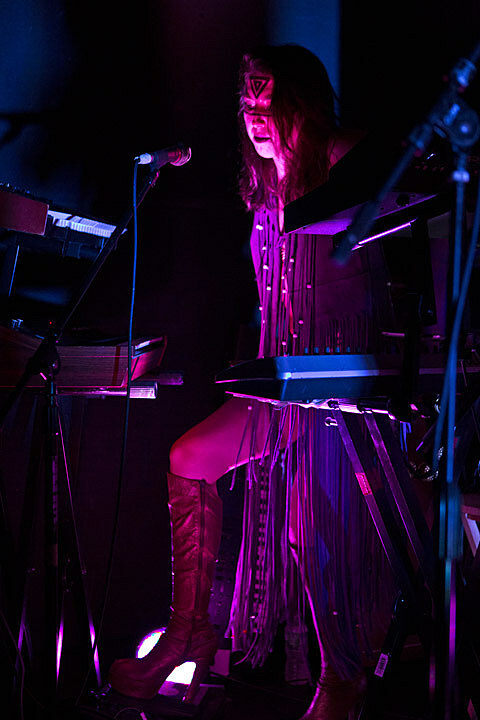 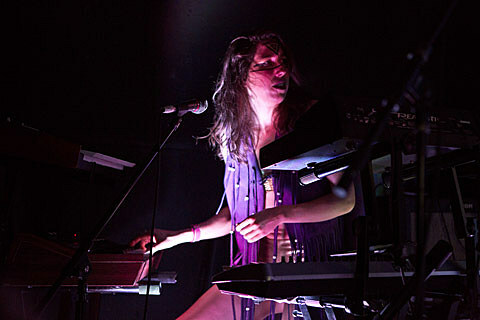 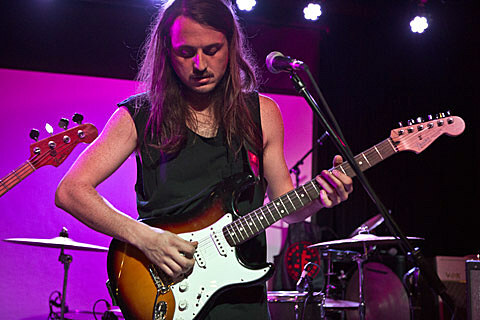 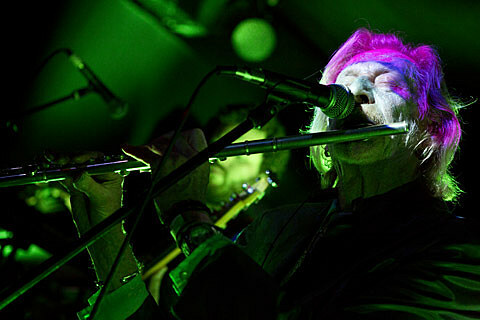 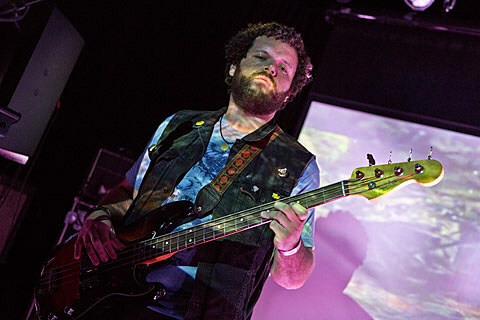 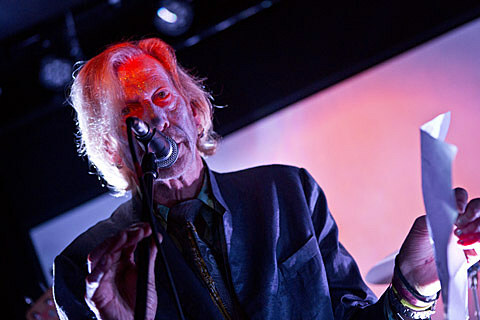 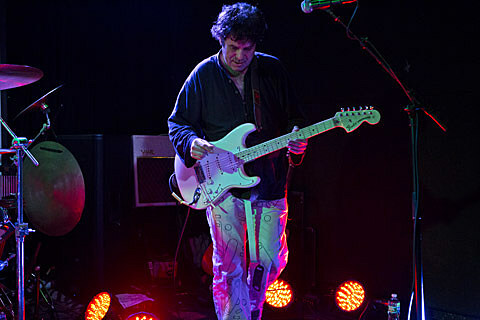 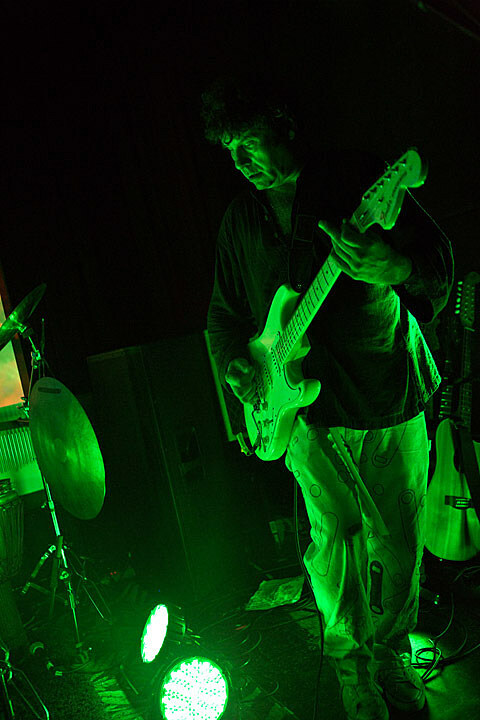 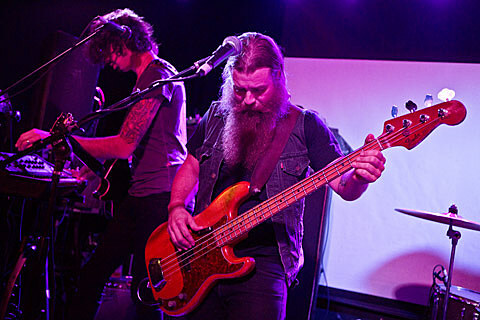 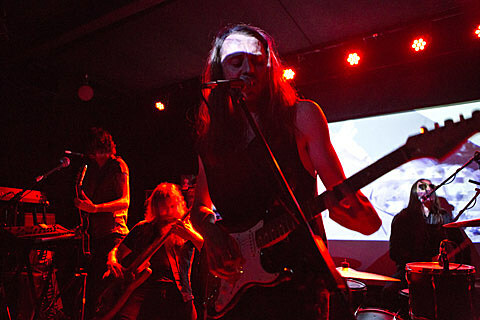 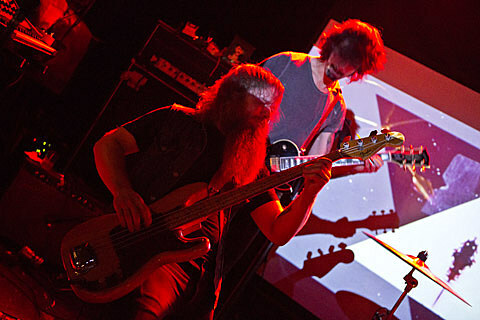 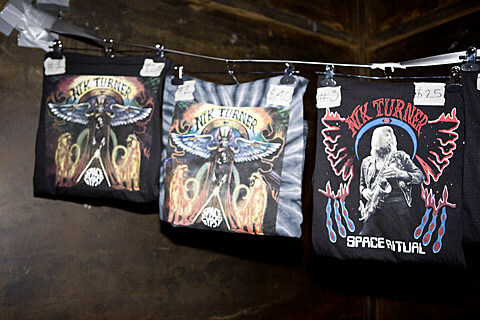 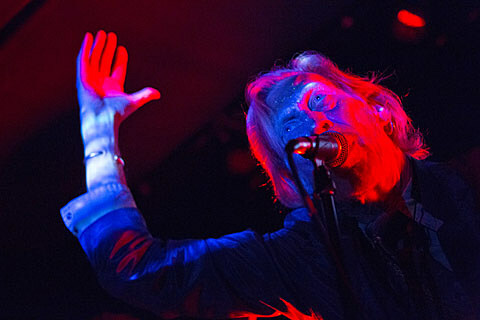 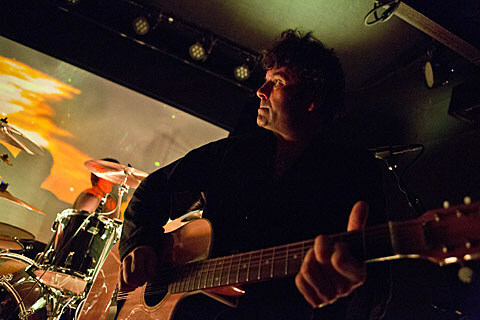 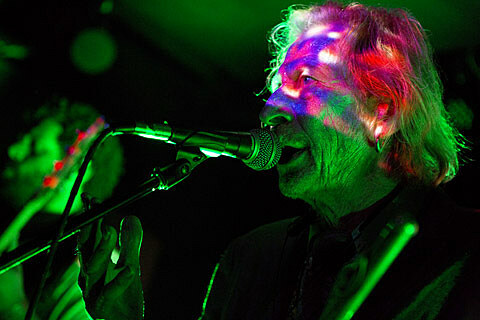 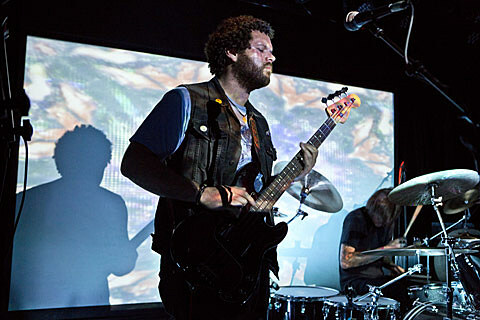 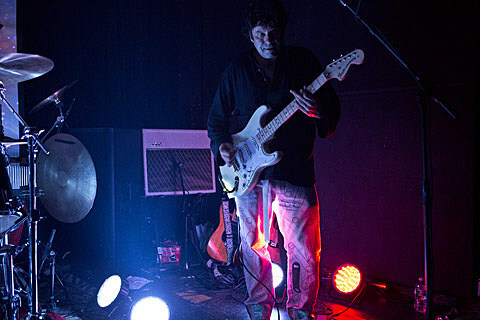 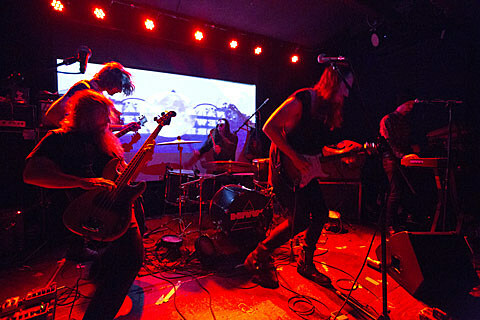 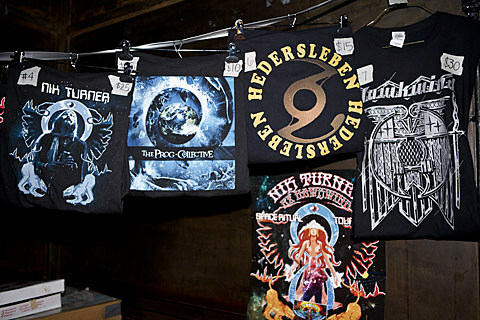 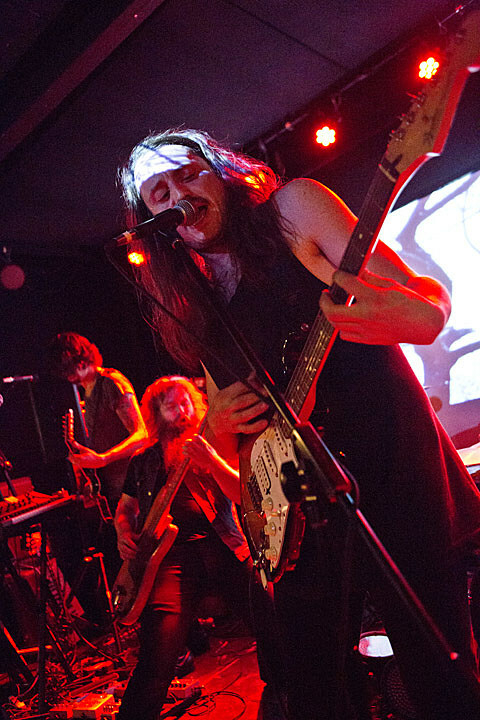 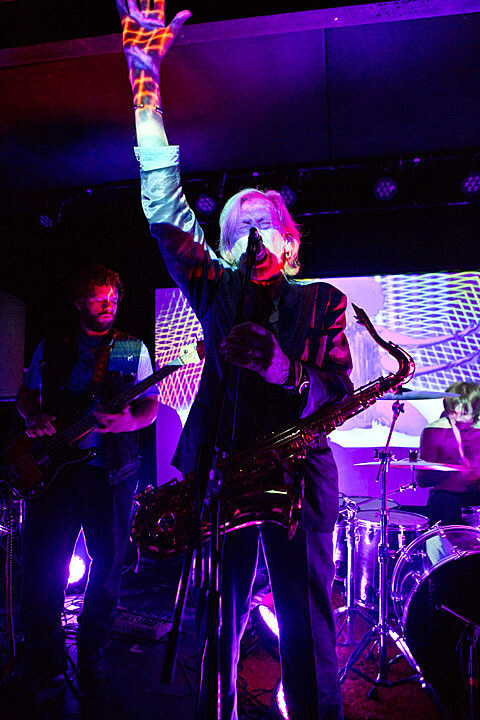 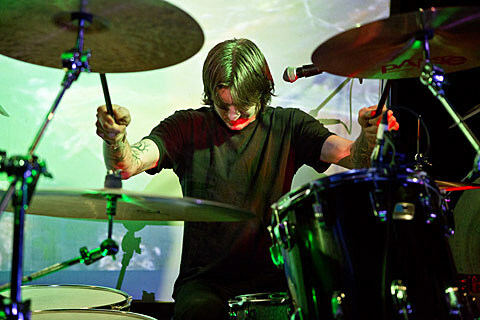 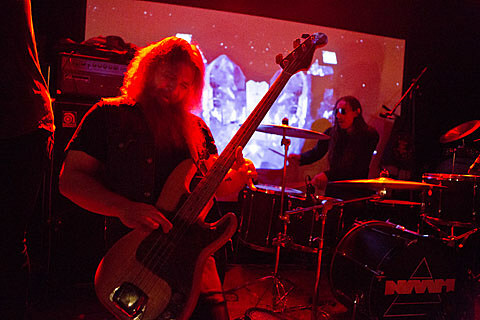 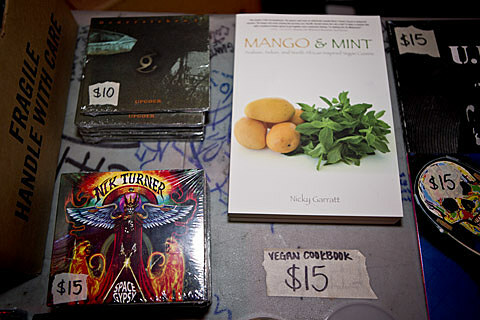 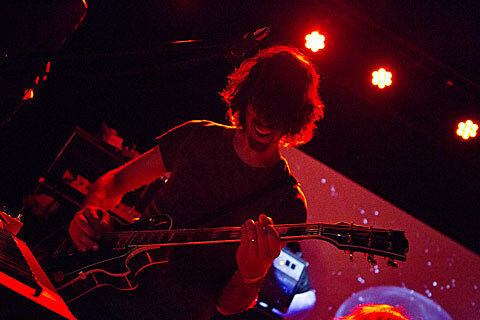 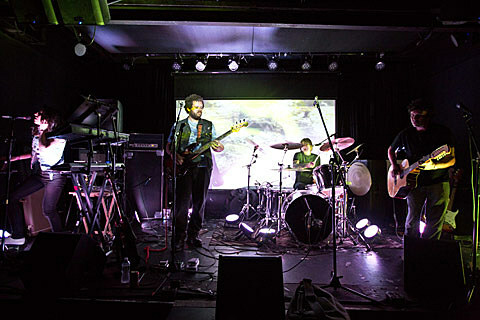 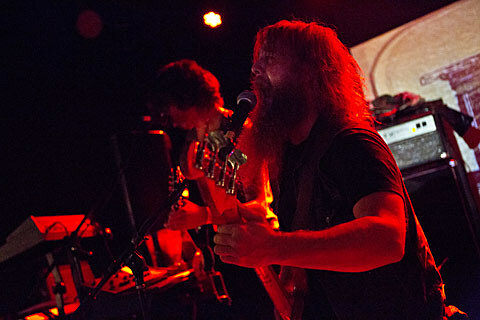 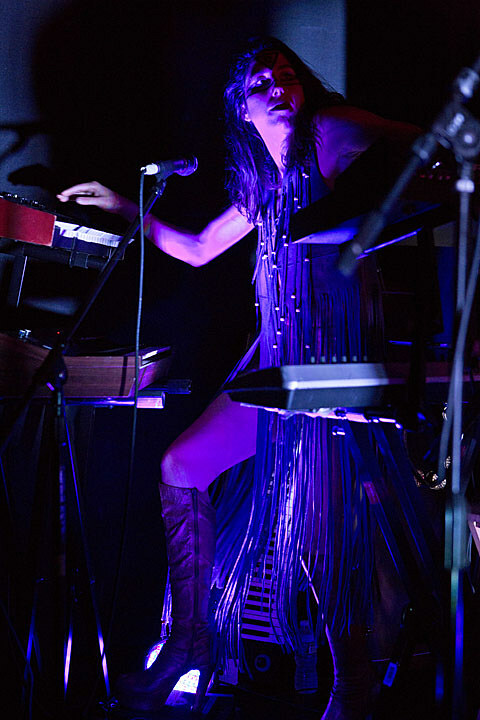 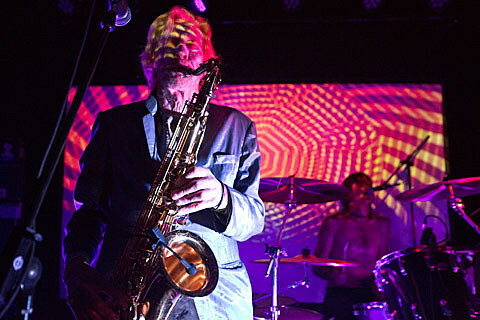 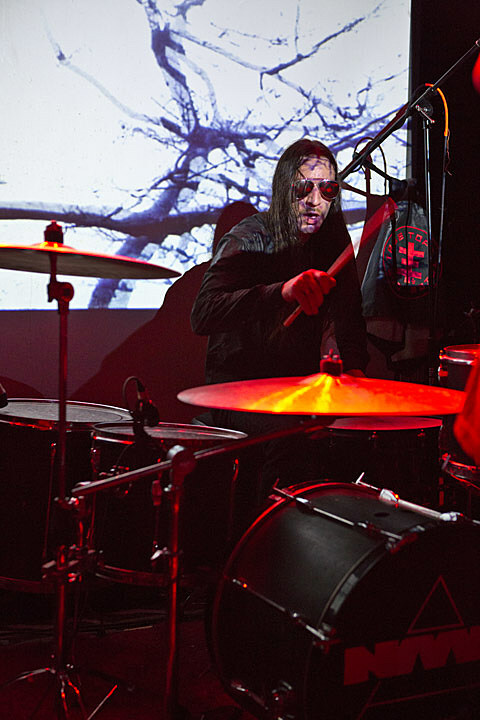 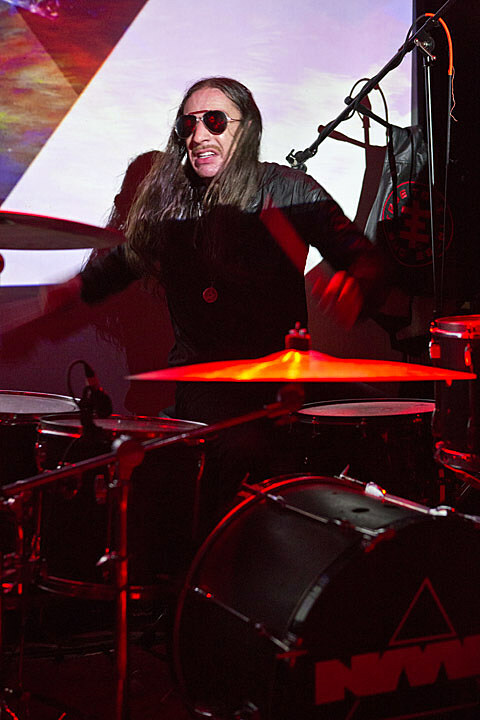 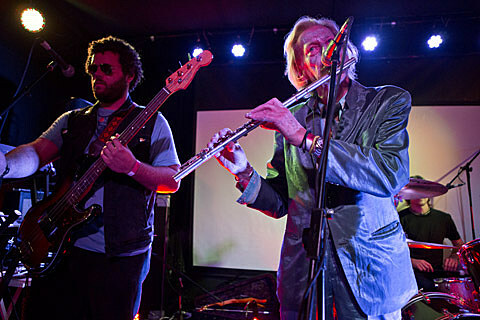 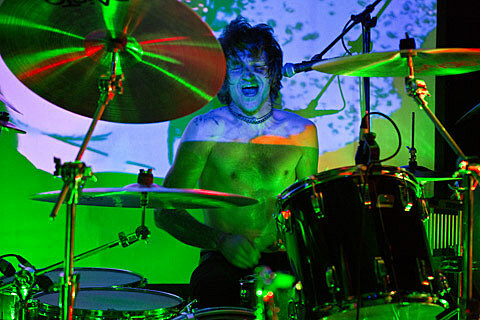 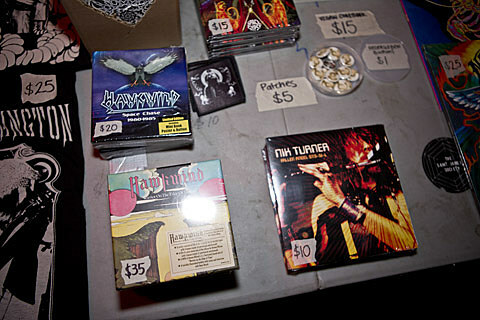 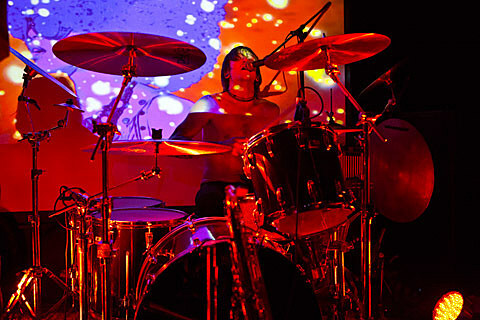 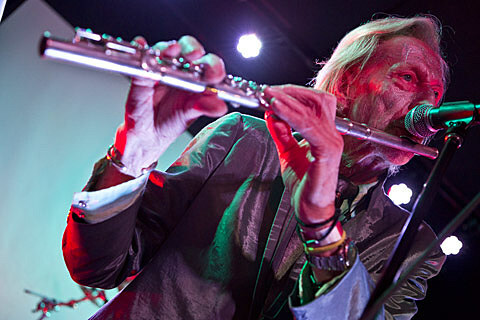 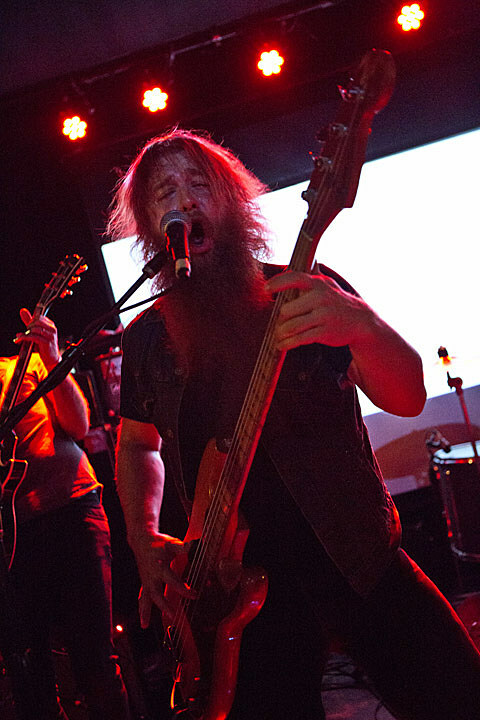 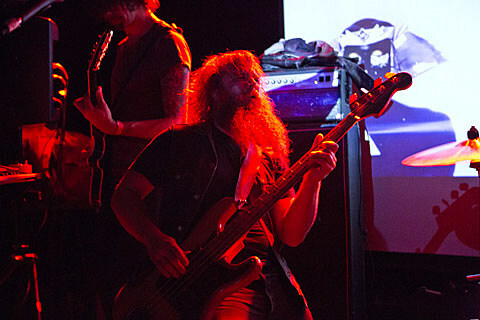 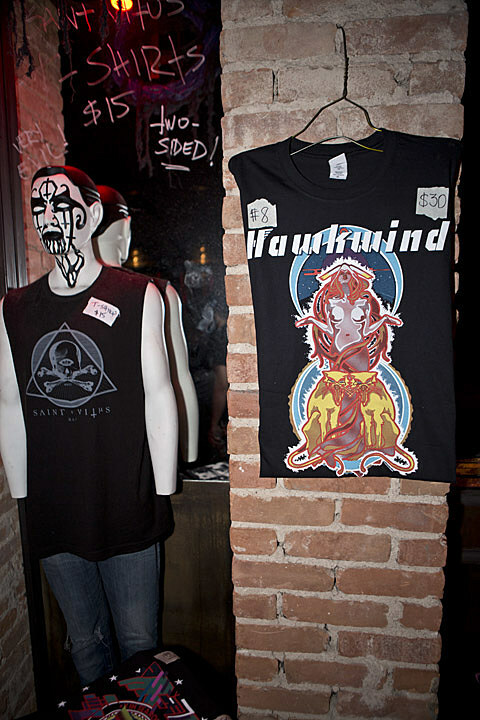 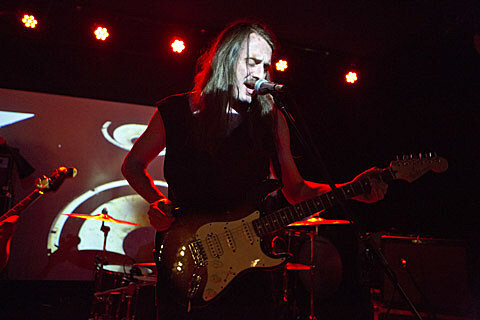 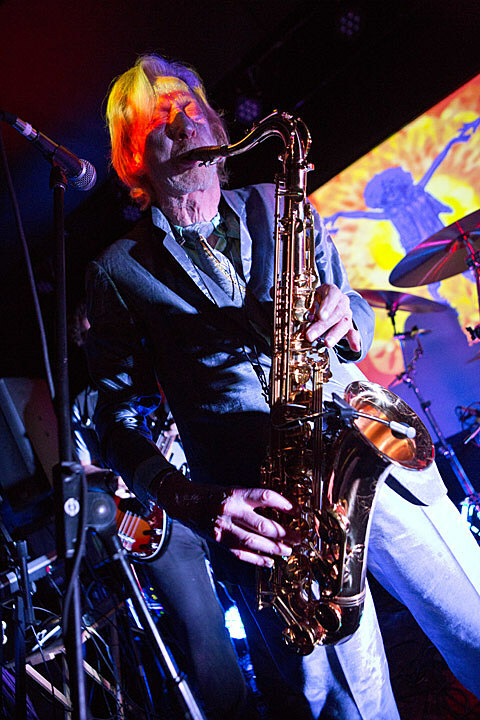 While Hawkwind postponed their 2013 tour, former member Nik Turner brought his tour to North America, which hit NYC on Sunday (11/3) at Saint Vitus. 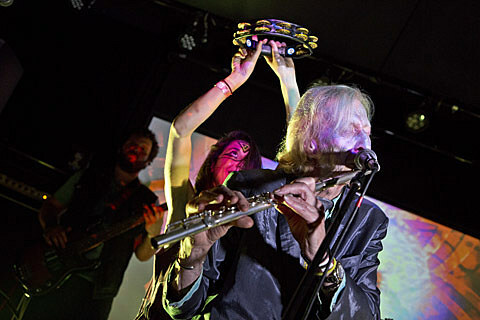 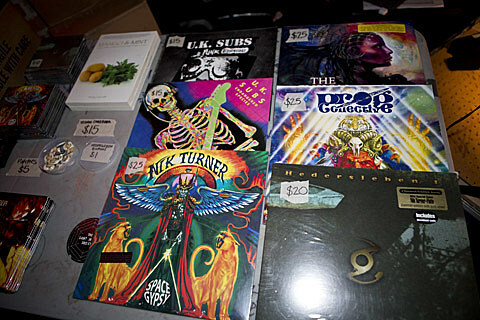 Despite some troublesome sound issues, Turner and his ace backing band Space Ritual soldiered through, delivering a load of Hawkwind classics, and a few new ones from his album Time Crypt. 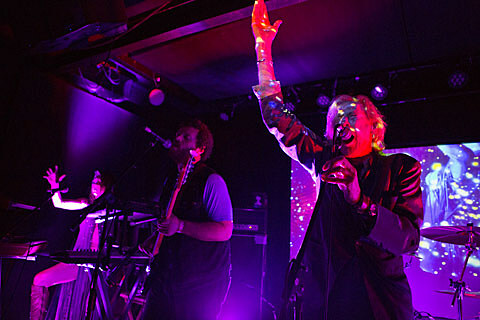 The above review comes from their 10/23 show in Chicago. 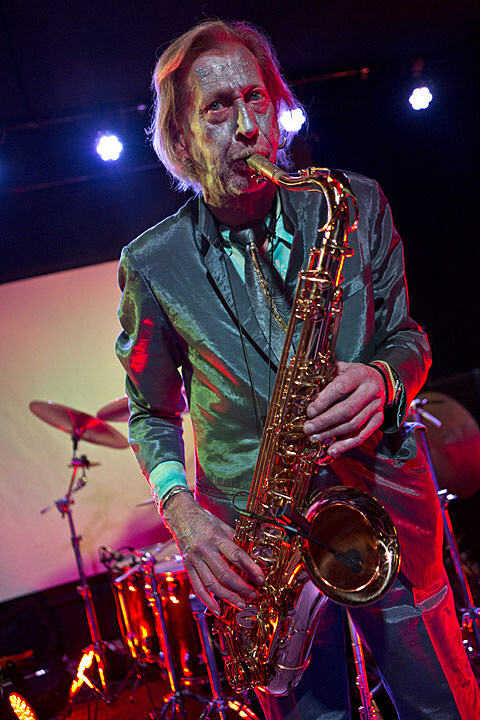 As for that ace backing band, it’s actually true krautrockers Hedersleben, and the German band played their own set opening the night, with Naam in between. 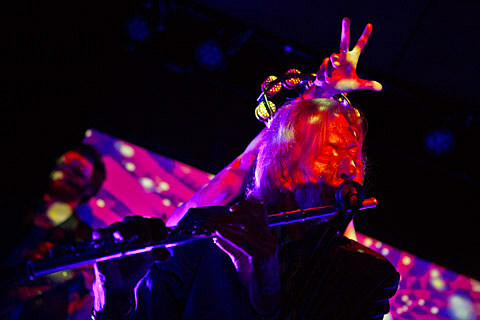 Pictures from the whole night are in this post.